It’s been a long, long time since we’ve seen Obi-Wan in the flesh – but we might not have to wait much longer. 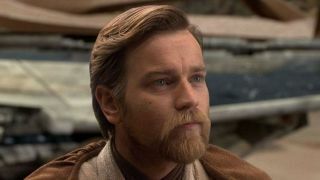 The wheels are turning and beards are being silently stroked as the Star Wars Obi-Wan movie inches ever closer to reality. Nope, Ewan McGregor hasn’t been confirmed yet, but we’ve got the next best thing: a leaked synopsis and potential confirmation of a director. TMZ have the scoop on the Obi-Wan movie, working title ‘Joshua Tree’ and, while it doesn’t seem too official in its wording (just wait and see what Obi-Wan’s been getting up to…), it all seems fairly legit. Hopefully, confirmation from Lucasfilm is just around the corner once Solo: A Star Wars Story is out. Sounds good, right? Although I’m wondering whether Obi-Wan kicking sand people heads in wouldn’t make him more than a little inconspicuous to the locals pre-A New Hope. I guess Tatooine is a big planet. There’s also a director in place. Best Director nominee Stephen Daldry – who recently counts The Crown among his directing resume – is apparently attached to the project. That’s not all! The production is listed as starting next spring so, realistically, a 2020 Christmas release date isn’t out of the question. That continues the tradition of a new Star Wars movie every year until the end of time, too. If you need more Obi-Wan in your life (and who doesn’t? ), here’s why an Obi-Wan movie could redeem the forgotten hero of Star Wars.